Fullbloom Light Deprivation offers fully packaged auto light dep greenhouses. We are here to ensure every grower gets what they need for a successful harvest multiple times a year. 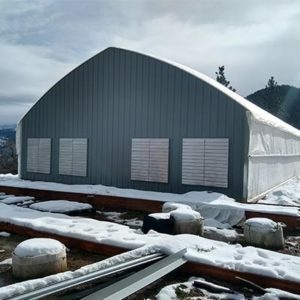 Why Fullbloom Light Deprivation Greenhouses? Most growers these days, whether indoor or outdoor, are switching to auto light dep greenhouse growing. 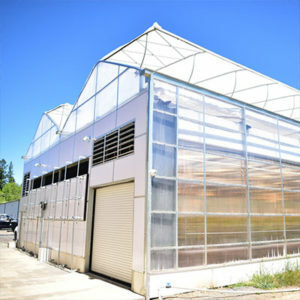 By utilizing a blackout kit on a greenhouse structure, growers are able to spend less money up front on a growing facility, while still being able to automate and control their growing environment. There’s less worry with Fullbloom Light Deprivation and our automated environmental controls, growers can get outdoor sized harvests with indoor quality product, all while reducing overhead costs and power consumption. Speak with a Fullbloom sales rep to determine which of our systems is the best fit for your needs. Interior vs. Exterior - What's the difference? Automation is key to harvesting top quality product and limiting overhead. Our touchscreen environmental system makes growing a breeze with simple set it and forget it controls. No one wants to deal with crop loss over a greenhouse cave in. That’s why Fullbloom uses only Allied Certified US Steel, engineered to withstand the toughest weather conditions. Fullbloom’s exterior light dep greenhouses are designed to be easy to install with full blueprint installation instructions and a customer support staff to help every install go smooth. Every electronic device used in a Fullbloom greenhouse uses UL listed components. This is a requirement in every legal state and is often overlooked by other companies. At Fullbloom Light Deprivation we are here to help with every aspect of your farm’s set up and continued success. When our customers succeed, we succeed as we all grow together. Our network of clients spans the United States with fully set up grows in every legal and medical approved state. We work hand in hand with experts in every aspect of farm life; finance companies, medical/legal attorneys, installation experts, master growers, certified electricians, and more. By buying a Fullbloom greenhouse you aren’t just getting the best greenhouse, you’re joining a team that cares about your success.